Listing & Selling in Inland Empire- Residential Homes and Condos. I primarily sell in Beaumont, Banning. Calimesa, Redlands, Loma Linda, Highland,Yucaipa and San Bernardino in CA. I have been in Real Estate for many years. I work at Sun Lakes Realty in Banning and specialize in selling homes in the 55+ Communities of Sun Lakes, Four Seasons and Solara. These communities are located in Banning and Beaumont and very close to Palm Springs, the San Bernardino Mountains, Cabizon Outlet Malls and 3 major golf courses nearby. Listing and Selling Homes/Condos- New Homes in the beautiful 55+ Communities and JP Ranch. Seminars Weekly for all the updates in Real Estate/ Short Sales Writing my daily Real Estate Blogs. Photographer-Nature Pictures. Scrapbooking in my spare time. I have experience doing Short Sales so I can assist you with your mortgage lender. I was a REO agent for many years; have sold many properties marketing them for a fair price and selling them quickly, exceptionally good at marketing plus my sales record speaks for itself. If you are looking for a hardworking, ethical, well-trained, and professional agent, I am the one you are looking forso GOOGLE me @ Kristin Hamilton Realtor, call me at 909-557-6966 or email at kristinh1989@gmail.com. I am well trained, go to legal seminars and updates weekly to stay on-top of the real estate changes in California. I have great computer skills, market myself and my listings all over the internet, and use the latest in technology to make your listing/purchasing experience a good one. Past President of Women's Council of Realtors and Chair of Membership Committee. I am also a photographer and a new "Nana" to a baby girl. Love my two dogs too. Experienced and a Great Negotiator for contracts. I am waiting for your call or email. Before I was in Real Estate, I worked for 27 years with the San Bernardino Sheriff's Department. I was born in the Inland Empire, grew up here, went to Ramona H.S. and UCR in Riverside plus I have continued to work and raised my family here. Yes, I am a local girl. SFR- NAR Short Sale & Foreclosure Resource (SFR) - Completed November 2009. CHS- Certified HAFA Specialist - completed October 6, 2010. CDPE- Certified Distressed Property Expert – Completed Feb 2012. GREEN- NAR Green Designation- Completed June 2014. NAHREP- National Association of Hispanic Real Estate Professionals. WCR- Women’s Council of Realtors. NAR- National Association of Realtors. CAR- California Association of Realtors. SEBA- Sheriffs Employees Benefit Association. UCR- Univ. of California Riverside Alumni Association. If you are looking to buy a home or sell your current home in the Inland Empire, CALL ME as I will be happy to assist you. Locations in Riverside County: Riverside, Moreno Valley, Highland, Loma Linda, Redlands, Calimesa, Beaumont, Banning, and Yucaipa. I service most areas throughout San Bernardino/Riverside County. Please call me today and allow me to assist you! Kristin helped me find a new house and then sold my other home. I recommend her to all my friends and neighbors. She is so familiar with Four Seasons 55+ and also Sun Lakes. "Kristina did a great job for us in our recent purchase. We were out of town buyers and needed eyes on the ground. We basically knew what we wanted and she set up an alert on the MLS for those specific areas and contacted us as soon as something was available. She managed to view and photograph 3 different properties within a day of them coming on the market and gave us good ideas and suggestions regarding the pricing and issues she noted. She made the paperwork as easy as possible and we got what we wanted about as soon as possible given the limitations we had set. Very helpful and flexible. Excellent job and would definitely use her again." We looked at houses for months and kept getting beat out with overbids from other buyers. Finally after our 3rd overbid, we got accepted. Kristin helped get the appraiser repairs as the seller and her agent were from LA. I am so happy with my new home in Redlands. Thanks Kristin! Thanks for helping us find a beautiful home in Yucaipa and the flowers are so colorful. Kristin thanks for your hard work and helping us get this great home in East Highland. We especially like the pool! Thank you Kristin, I can't believe how fast it went! Thank you again! Have a great Summer! Kristin was the best real estate agent and helped me with every aspect of selling this house including easing my anxieties! Very Impressed!! Listed the house and had it SOLD within 30 days. Knowledge of price trends made the deal go fast. Got a top price for the house....She was AMAZING. My Husband and I relocated to WA state due to a job opportunity. Kristin really went above and beyond to get our house sold for us while communicating long distance. She was very knowledgeable, caring and understanding. We would recommend her to anyone that needed a realtor in the Inland Empire. Thanks again Kristin! One more happy seller represented by a wonderful Realtor! Thank you so much for allowing us to help you fulfill your clients wants and needs. Kris-I cannot thank you enough for all of your very professional help and advice in getting this process behind us in a relatively short time frame. I am very pleased with the outcome. Happy Holidays. Dear Kristin, First you helped us buy a place for our daughter to go to college and recently helped us do a short sale on the home. Thanks for all your help dealing with Bank of America. My wife and I were so happy to have the escrow closed. When we buy another place, we will call you. Thanks. We just needed to sell really fast and a neighbor told me about Kristin. We called her and she was so quick and professional to get our house on the internet and help us pick the best offer so we are now living in Florida enjoying our retirement. Thanks so much for all your help. 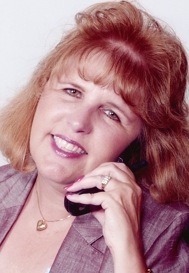 With Kristin's assistance, my wife and I were able to locate and purchase a condo in Redlands. Kristin was a real help in locating available properties. She even linked us up with an Internet site that sent us daily notices on new listings. Once we had made our choice, Kristin negotiated a good deal for us. She was very persistent in communicating with the seller's agent in order to expedite the transaction. What we really appreciated was that Kristin took the initiative to look out for our best interest. When the time came for us to look for a lender, Kristin was right there with several contacts. One of these lenders was able to secure us financing that fit our needs. I believe that Kristin Hamilton is a great asset to Tarbell and will continue to perform a professional service to her clients. Her dedication to her clients should be well noted. It was truly a pleasure to work with her and I would highly recommend her services to anyone that is looking for a top notch Real Estate Agent. Kristin, Thank you for selling my Mom's house. Thanks for all of your help. My mom and dad were looking for a condo for me to live in while I attended Loma Linda University. Kristin met with us and found a beautiful condo in a very nice area. We are very grateful to her. Dearest Kristin, We were trying to sell our home ourselves. Kristin came and ask to list it. We fell in love with her the minute we met her and knew she was the one to sell our house and she sold it in 31 days.